See space as never before, in this unique scratch and discover format. Every spread explores a different space theme. 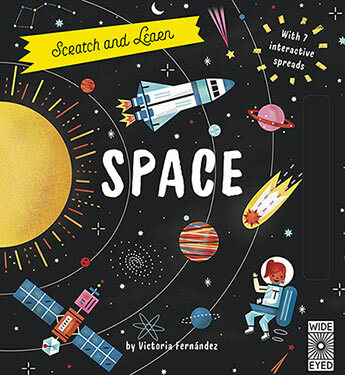 From building space rockets, to exploring our solar system, collecting moon rocks and whizzing through the asteroids - this is an appealing, interactive first introduction to space that kids will love. Victoria Fernandez is a multidisciplinary creative and illustrator. She is based in Madrid, Spain.